NEPI Rockcastle, Globalworth, One United Properties, Impact Developer & Contractor are four of the most important Romanian market active developers which have chosen to finance their developments and investment plans by issuing corporate bonds. Over EUR 1 billion were raised from bond sale by real estate companies active in Romania in the last 18 months. One United Properties, a real estate developer specialized in residential property in Bucharest, issued 20 million euros of 4-year bonds through private placement. The amounts will be used to develop the existing and the new residential projects of the company. Issuing bonds is a means for governments and companies to raise capital in order to grow their business or optimize financing capital structure. Also, Impact Developer & Contractor, one of the biggest residential real estate developers in Romania, sold unsecured bonds worth EUR 30 million via the BVB. The company planned to use the money for developing two new residential projects in Bucharest, in Floreasca and Domenii areas, in addition to continuing the Greenfield project in Baneasa. The biggest bond issues were made by Globalworth Real Estate Investment Limited, the real estate investment firm controlled by Ioannis Papalekas, and Nepi Rockcastle, two of the largest real estate investors in Romania. Globalworth invested massively in the Romanian office segment, alongside smaller projects in the industrial segment. The investor raised EUR 550 million from a record bond sale on the Irish Stock Exchange. Its portfolio in the country could reach EUR 1 billion in value this year. The net proceeds from the offering will be used to repay certain of the company’s indebtedness and for general corporate purposes. 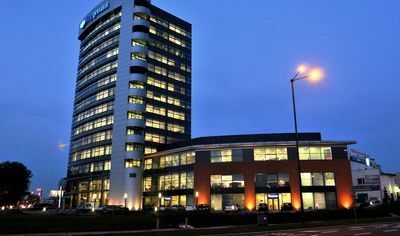 Nepi Rockcastle’s wholly owned subsidiary, NE Property Cooperatief, has closed a corporate bond book build and priced a EUR 500 million unsecured seven-year Eurobond, maturing on November 23 2024. 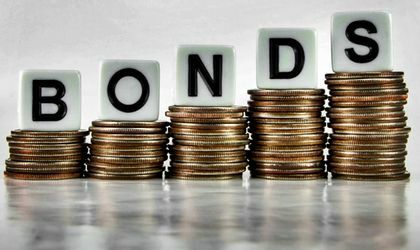 ”Corporate bonds are a viable alternative to bank loans today, since conditions have become more competitive for these instruments especially for companies enjoying an investment grade credit rating. The volatility of the interest rates of the bank loans encourage also an increasing number of real estate companies to enter in the bond market since such instrument are mainly paying fixed interest rate thus protecting borrower against unfavorable interest rate movements. Speed of execution, depth of the bond market vs. local banking market, structure of guarantee, improvement of the capital structure & cash flow, diversification of the lenders basis are the main advantages of these type of financing”, comments Maxime Otto, associate director Capital Markets Department JLL Romania. Corporate bond market is, in Romania, at its inception but it is likely that the market will continue to expand and develop since more and more companies are meeting investors’ criteria in terms of financial covenants. In the meantime, more and more investors are attracted by the risk adjusted returns of such type of instrument especially in the context of the Romanian positive macroeconomic outlook.